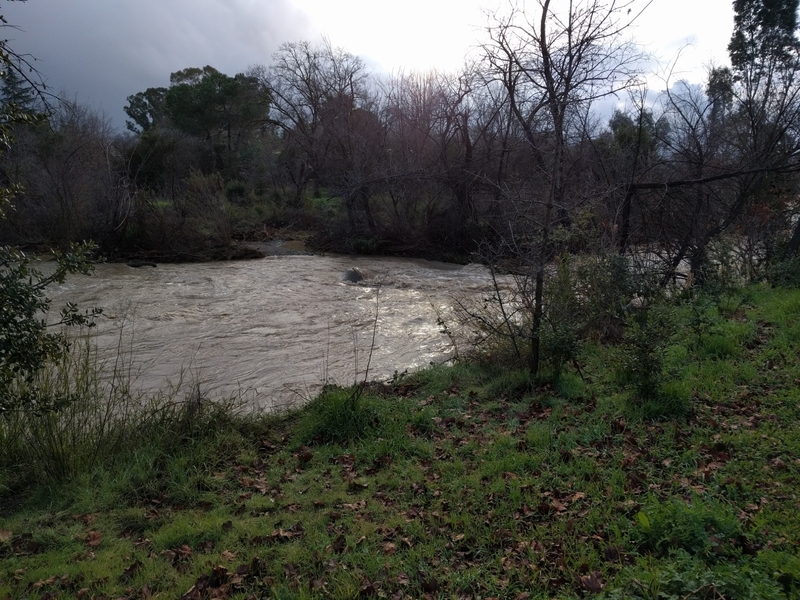 After work and between storms, Maggie, Sally and I took a walk along the Arroyo Mocho Trail. 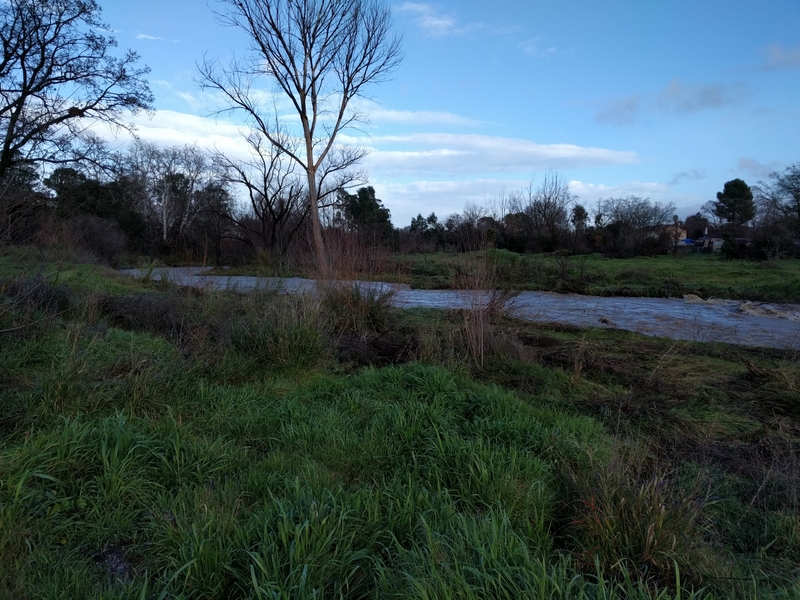 I was amazed to see and hear the volume of water flowing through the arroyo. In this image you can see that at one point the water level was higher. 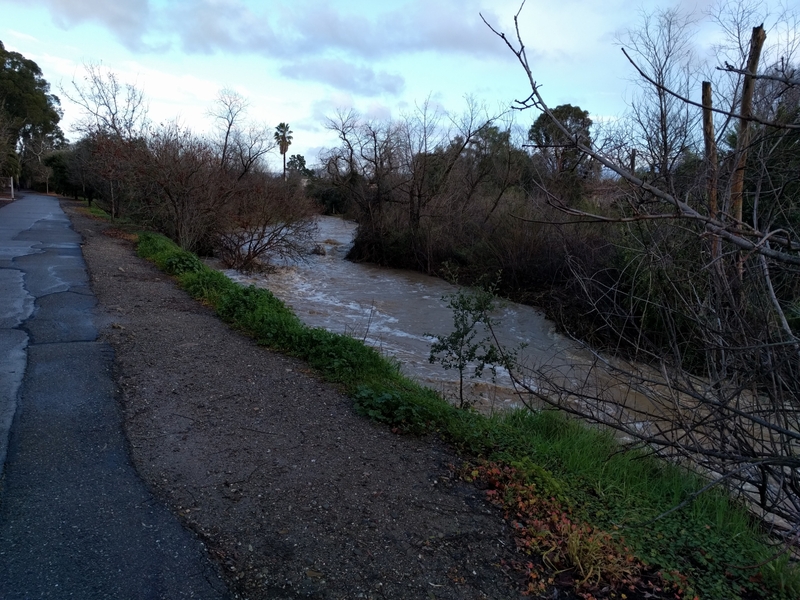 At this point the arroyo is usually very narrow and about ten feet deep. More rain is on the way. All reasons to be happy. I can almost hear the water flow. Ten feet deep! In this location the water would be a couple of feet deep. The storms have continued and the trail in this area has been damaged. 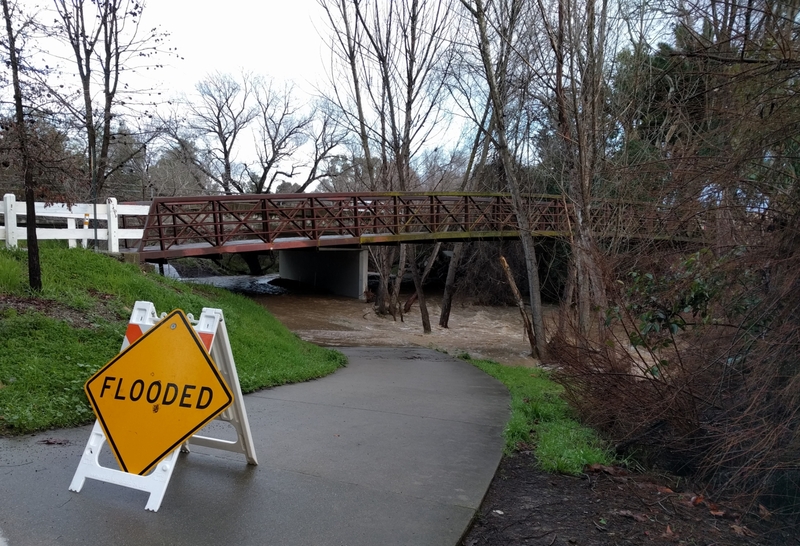 Farther downstream the trail has been closed due to flood damage. With one storm after another it may be some time before the damage can be repaired.